Instagram today is rolling out a feature to all its users that will allow everyone to decide for themselves how they want to moderate comments on the photo-sharing service. First launched for business accounts in July, the social network is now making its default and custom comment keyword blacklists available to all users. This new feature will allow people to either enable a filter that will automatically block a default list of words to hide from their Instagram comments, or, with the custom keyword list, they can go further and choose certain words that they don’t want to see in the comments on their posts. Both options can now be enabled by any user in their Instagram profile settings. Taylor Swift was reportedly an early tester of this tool, ahead of its public launch. Instagram had previously introduced other comment moderation tools, like swiping to delete comments, the ability to report inappropriate comments, and the ability to block user accounts. Features like these are important because Instagram is public by default, and also typically used for personal photo sharing, that’s a ripe target for bullies and trolls. “The beauty of the Instagram community is the diversity of its members. All different types of people — from diverse backgrounds, races, genders, sexual orientations, abilities and more — call Instagram home, but sometimes the comments on their posts can be unkind,” writes Kevin Systrom, Instagram co-founder and CEO, on the company’s blog, explaining the need for comment moderation tools. “To empower each individual, we need to promote a culture where everyone feels safe to be themselves without criticism or harassment. It’s not only my personal wish to do this, I believe it’s also our responsibility as a company,” he adds. The move comes at a time when social networks are racing to defeat bullying and abuse on their platforms. 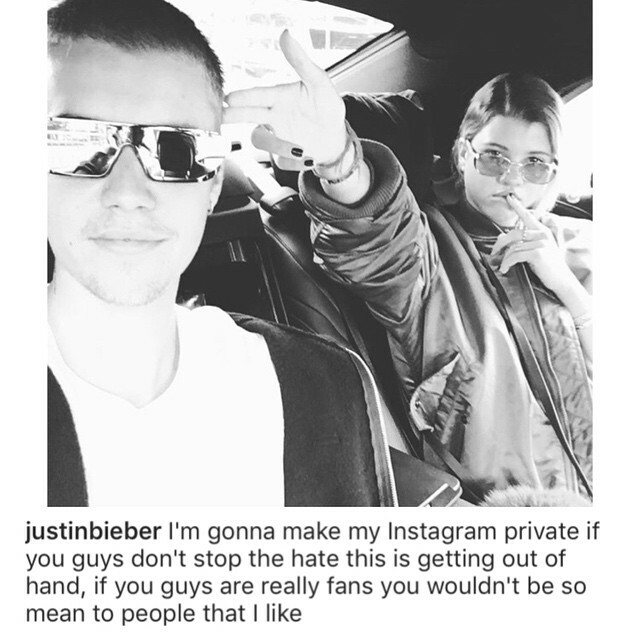 Instagram itself recently dealt with a high-profile case on online trolling, in fact, which led one of its top celebrity users, Justin Bieber, to shut down his account after his fans began leaving hateful comments on a photo of him and his new girlfriend, Sofia Richie. Elsewhere on the web, abusive comments – which are often directed at women – have pushed many from participating in social networks. For example, Ghostbusters star Leslie Jones was recently attacked by an online mob of racist, sexist men on Twitter. A previous notable incident saw trolls taunting Robin Williams’s grieving daughter Zelda with photoshopped images of her father’s body. Meanwhile, the entire #GamerGate controversy involved a harassment campaign against those speaking out about the issues of sexism in video gaming culture. Instagram hasn’t seen as many “newsworthy” cases of online trolling and abuse, as compared with Twitter, but it’s also being more proactive about rolling out new tools before it gets to that point. Instagram, on the other hand, is trying to address the problem before bullying becomes widespread on its service and moving to launch tools at a quicker pace. Of course, Instagram parent company Facebook may give the service an advantage thanks to its sizable machine learning, anti-abuse, and internationalization infrastructure. Facebook first gave businesses keyword blocking in 2011, for example. While anti-harassment tools are critical for maintaining a safe community where all people feel welcome, they’re not the only thing Instagram is working on to improve the commenting experience. The company is also rolling out another change that will show more personalized, relevant comments in the comments preview you see on posts in the feed or on a profile, instead of the two most recent comments. Similar to Facebook, this means you’ll start seeing your friends’ comments before others, when browsing. This feature will also be available today, along with the keyword blacklist tools.